The sleek new Cylinder design is based on the original GrinderMinder and features a contemporary lower profile “flat top”. Just like the original GrinderMinder, it looks great and secures well into edges of concrete or stone benches, walls and planters. The drum shaped top is 1″x 1″ with an 1.25″ stem. The sleek new Hemisphere (“Hemi”) design is based on the original GrinderMinder and features a lower profile “half-dome” top. Just like the original GrinderMinder, it looks great and secures well into edges of concrete or stone benches, walls and planters. 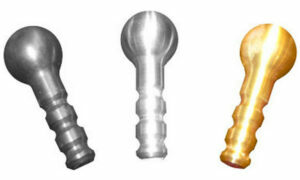 The head of the Hemi GrinderMinder is 1″ diameter and 1/2″ high. 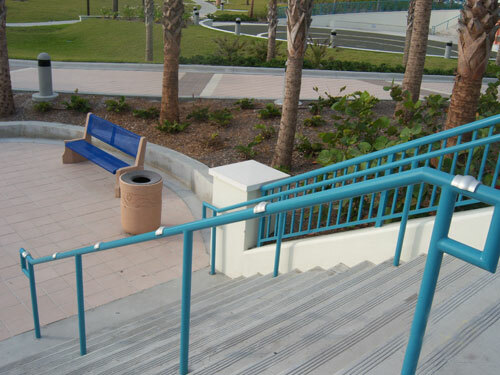 It’s low profile is perfect for benches and seat walls. 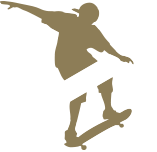 The original GrinderMinder – inspired our full line of skateboard and bike deterrents. 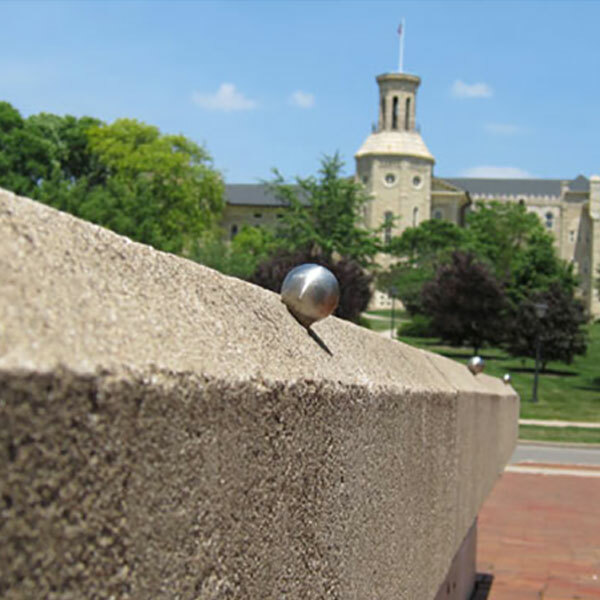 Designed with ball and stud, the standard GrinderMinder is made from solid stainless steel with a brushed finish. Preserve your design and landscaping by installing along the edges of concrete or stone benches, walls and planters. 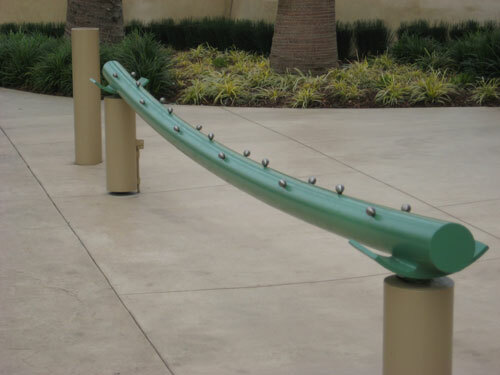 Designed for either round or flat-topped handrails, and made from aluminum, these deterrents and are specially coated with a paintable surface. 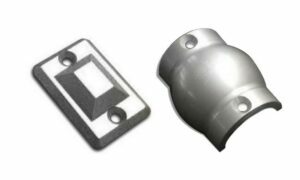 The standard finish is silver, or can be painted to match handrails. 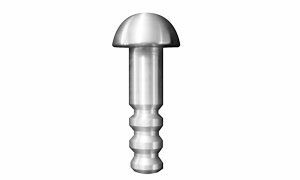 They are supplied with self-drilling and threading stainless steel screws. 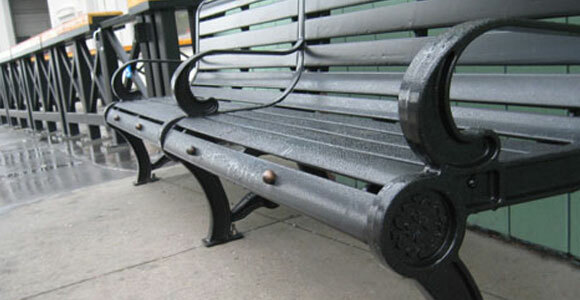 Great for metal or wood handrails and benches. 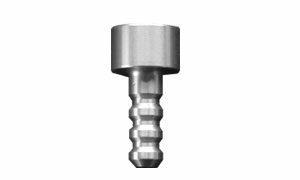 The GrinderMinder stainless steel ball is 1” wide with a threaded hole. 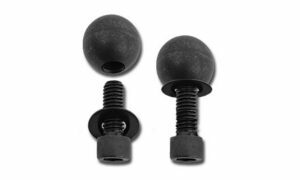 Threaded bolts are sold separately at your specified length, and screw into the ball. Black Oxide finish is shown – other materials and finishes are available for custom orders.